At Motor Transportation, we are dedicated to customer service excellence. 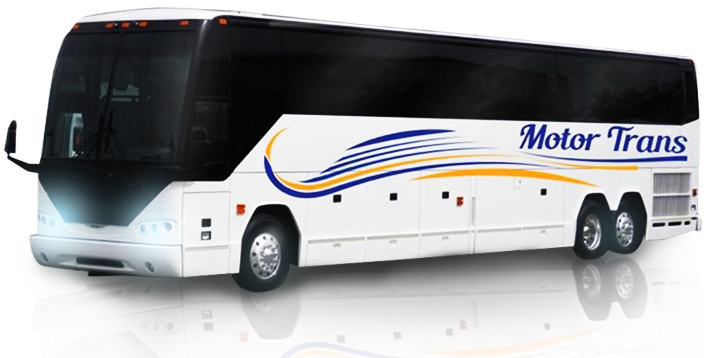 With a wide range of Charter buses to suit small, medium, and large group of passengers, we can meet any expectation. We've got love for the East Coast! We provide charter bus services to all major cities, along the East Coast; Including New York City, Washington DC, Boston and Philadelphia. Worried about gas, tolls, and traffic jams during what may already be a hectic travel day? You can rely on us! Our corporate Services Concierge includes logistics and transportation for small, medium, or large buses tailored to your specific needs. Motor transportation is the perfect travel option for student field trips and will take your class anywhere you want to go! 120 N Pine St, PA.